You're sitting in a bar, spending $30 on beer and nachos because you're too cheap to spend $100 on a month's worth of cable for Monday Night Football. Despite the fact that the place is tiny and the walls are so thin that you can hear drivers in the street swearing at each other, it's somehow also a black hole for cellular service. So you ask the bartender for the Wi-Fi password, then ask him for the right password, then finally get connected... only to discover that the owner hasn't reset the router since the Bucs won the Super Bowl, and you'd be better off on an EDGE connection. Note the text below the COPA network. Android 5.1 will solve that problem. 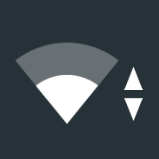 (The problem of connecting to a dud network, not the one about the bar's crappy router.) Once a device running Android 5.1 connects to a router that has no Internet access, it will remember it, and won't automatically connect to it again. This will be a boon when travelling to restaurants, hotels, and the homes of elderly relatives everywhere. 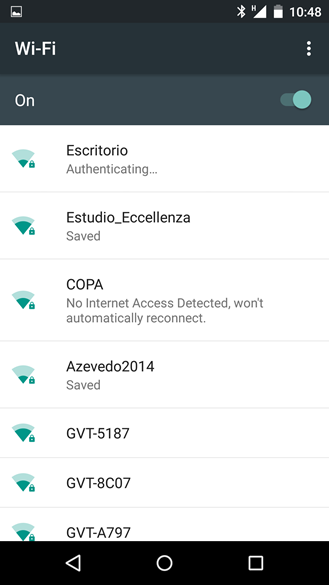 The first release of Lollipop included a few tools to help users better identify and avoid dud Wi-Fi, but now it looks like Google is simply trying to avoid useless connections altogether. Makes sense to me. Other 5.1 additions in the same vein include disabling Wi-Fi or mobile data from the lockscreen and switching networks from the Quick Settings menu.